sara says: "sara, you're so childish"
So I've basically been in the library all day, and this is what I've been driven to. Most people have gone home now, so its just me and my sidekick left. We're keeping each other company at meal times (we just made his 'speciality' eggy bread, with tea, and lots and lots of chocolate. It beat my rice and soup [desperate measures] that I had earlier in the day) but I'm charging through all my work this week so I can enjoy my holiday! 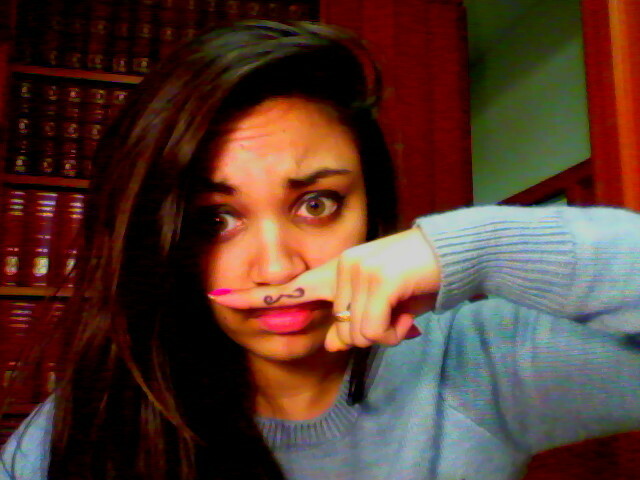 I refuse to leave it until the last week of the holiday like last term... Bad idea! Majorly stressful, and prevents actual enjoyment of the holiday. Plus I've got prelims at the beginning of next term. BUT next term is Shakespeare! So get ready for some Shakespearean quotes next term and me babbling on about my love for lecturers reading out Shakespeare's sonnets. (I will go to lectures next term, I WILL!). 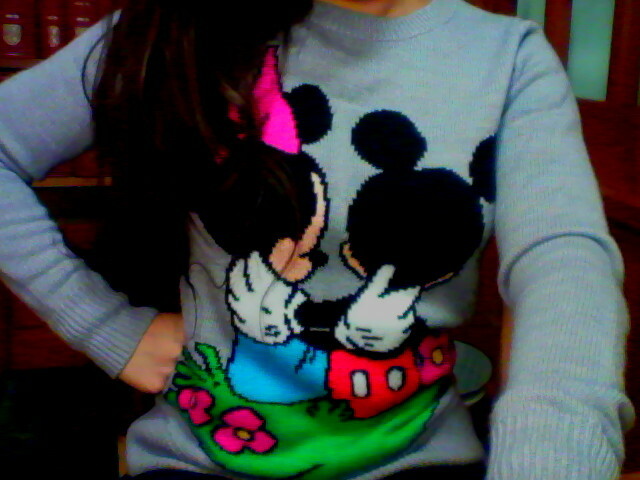 I'm wearing my mickey mouse jumper today, because I'm feeling cute and romantic, and because its a bit cold.